I love peanut butter. I love peanut butter with chocolate, I love peanut butter and jelly, I love peanut butter by the spoonful. You already know this, but I just had to get it off my chest. I expressed my love of blueberries and peanut butter before, and then I combined chocolate and blueberries. And of course there were all the times I put together peanut butter and chocolate. It was only a matter of time before the three collided. Over the weekend I put three of my favorite flavors into one and made Blueberry Chocolate Chunk Peanut Butter Bars. These aren’t the prettiest bars I’ve ever made, but oh boy are they delicious! This was one of those times where I could have eaten the whole batch out of the oven! They smelled amazing and the melted dark chocolate, juicy blueberries and flavorful peanut butter cookie base had an amazing balance. It was a good thing I had a birthday barbecue to bring these to because otherwise my waistline would have been in big trouble! Note: The dough may be very crumbly. Press it down tightly into pan before baking to prevent the bars from being too crumbly once they are done. Have you ever eaten a dessert by yourself that you were supposed to share with friends? All 3 flavors sound delicious together! I would def be tempted to eat this whole pan too! Love the fruit, chocolate and peanut butter flavor combo. Sounds delish! oh my. This can only be an insanely delicious combo. You are my hero. You are definitely my soul mate. ;-) Yummmmmmmm!!!! These bad boys look awesome! PB @ J cookies?! I feel ya! These look absolutely fantastic – the best of all worlds! Hope that your friend enjoyed them and that you had a great weekend! I wouldn’t be able to stop eating these – so dangerous – you are a genius! 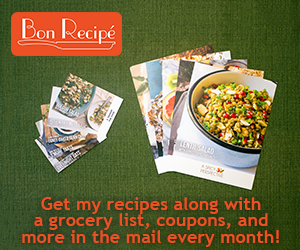 I don’t think I could be left alone with a recipe like this…but I thank you for sharing! :) Can’t WAIT to try this! Pure yum! As much as I love the pb and chocolate combo I wouldn’t have thought to add in fruit…such a tasty idea. Whoa! I did a double take! This looks fabulous! Those sound fantastic! Did you come up with that recipe all by yourself? I did, I’ve been wanting to make something like this for a while! Oo I’ve never had blueberries and peanut butter together, but I love both of those things so it looks like I need to try it out. I actually made blueberry cheesecake cookie bars last night, should’ve thrown in some peanut butter! That would be so delicious! Ever since I discovered blueberry muffin batter ice cream with reeses cup chunks in it at Cold Stone, I’ve been obsessed with the combo of PB, blueberry and chocolate! So these bars look like HEAVEN! YUM! Ok, I need that in my life immediately! That sounds amazing. I like all these things too, but have never put them all together! So smart…and delicious! You can’t go wrong with PB and Chocolate! It adds a little bit of “refreshing” to a perfectly sweet and delicious snack! Great idea! oh what a perfect combination – I would definitely eat A LOT of these! Awesome combo! Can’t wait to try. Blueberries isn’t usually something I would combine with peanut butter, but it actually sounds really good! Very creative! When are you starting your bakery? Your recipes always look so simple and so incredible! My goodness do these look DELISH!! I’ve never thought about putting blueberries and chocolate in a PB bar…genius!! I think I need to make these…once I work out enough to burn off the biscoff bars ;)!! I would inhale a whole pan of these… Then I’d have to vigorously work out; but I’d do it happily dreaming of the day when I can inhale a pan of these once more… Lovely combo! Another brilliant, creative recipe. Yum! made these last night! Hope to blgo about them soon! They were incredible! I halfed the recipe and found the dough to be REALLY crumbly. Did that happen with yours? They don’t stay together very well but my oh my are they delicious! Great recipe! I’m so glad you liked them!!! I did find that the dough was crumbly but the bars weren’t too bad because I had pressed the dough pretty tightly together. Originally I wanted to make them cookies but went with bars because of that. Wow these look great! And I like your new blog design! When PB meets chocolate there is always great success & that is all there is to it. These look awesome! How fun! I love the use of blueberries in this dish and any time there is chocolate involved, I’m totally on board. Delish! This is such an awesome combination! These three flavors sound so good, I can see using them in everything from granola to pancakes! Last night I was eating handfuls of blueberries and chocolate chips.. and now you’re adding peanut butter to the mix? I love it and I have to try this immediately. I am drawn to recipes with blueberries in them this week. Add pb and chocolate … oh my! These look delicious. Oh my heck those bars look so good.. geez! love your blog…and definitely the recipes! These look absolutely delicious, but I may just have to make them using some white chocolate chips or chunks. Thanks for the recipe. This sounds so good! Not something I would have thought of, but it looks delicious! And this only begs the question….why has no one thought of this before? Why do we only go with PB and one or the other? Love it!